Underwhelmed with the lack of useful English information on restaurants in Valencia, Spain, we decided to build the Eat in Valencia website. When we arrived in Valencia, Spain in September 2008 we were immediately impressed by the huge amounts of restaurants in the city. What we were not impressed with however, was the lack of useful English information on all these different types of restaurants. For a city (and a country) which main industry is tourism, we expected a bit more catering towards English speaking people. 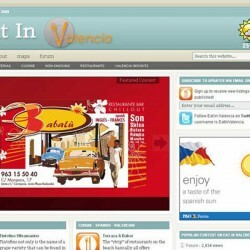 It was therefore that we decided to start the website Eat In Valencia. On the website, which we developed with WordPress using a premium theme adapted to our wishes, we had a featured posts slider to advertise restaurants that paid a premium to be listed on the home page. 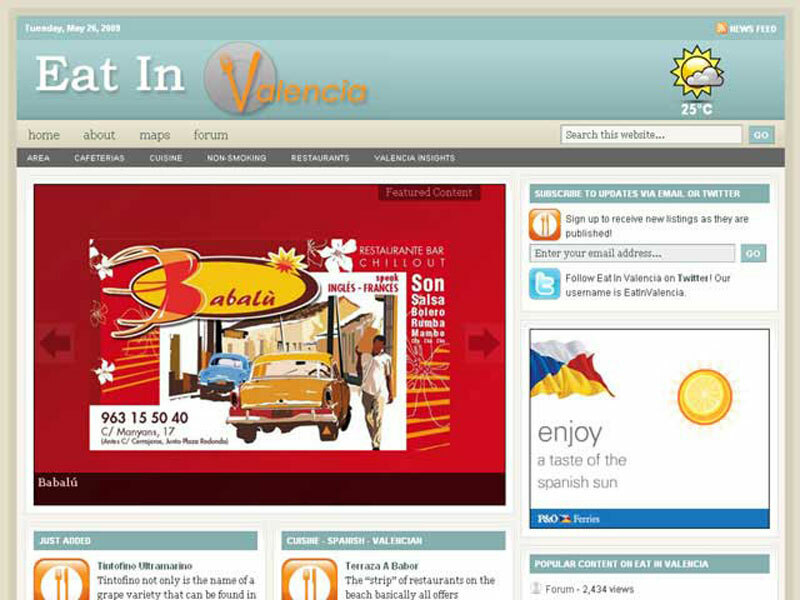 Underneath we listed the restaurants we had just added as well as the restaurants that served Valencian cuisine. We included Google maps of all postcode districts of Valencia and placed all the restaurants neatly in those maps. Although the listings of the restaurants all contained objective information, we also had a forum where people could leave reviews of the listed restaurants and could suggest places for us to enlist. From our experience of living in Beijing, China we expected that restaurants would highly appreciate us listing them on the Eat In Valencia website, but nothing was further from the truth. Internet penetration in Spain is nothing like in the rest of Europe and many people in the hospitality industry think that tourists will come anyway, with or without useful English information. That is the reason that after our departure from Spain in August 2010, we decided to take the site offline. The site was a great exercise at the time to use our skills for a project of our own.